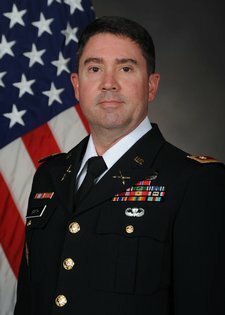 LTC Christopher M. Smith is an Assistant Professor of Operations Research with the Department of Operational Sciences, Air Force Institute of Technology (AFIT). Prior to arriving as a faculty member, he served for 21 years as an active duty Army officer in a variety of leadership, field artillery, military planning, and educational assignments. Deployments include a yearlong combat tour with the 4th Infantry Division (Mechanized), and a tour as an enlisted Military Policeman in Panama, a year after Operation Just Cause in 1992. He taught undergraduate mathematics and probability and Statistics in the Department of Mathematical Sciences at West Point, NY from 2007-2010. LTC Smith’s technical research emphasizes applied work in decision and risk analysis as well as data mining and a variety of network applications. Additionally, he is interested in research involving the use of social media analysis. He also serves as the President of the Social Media Analytics subdivision in INFORMS. Paper (Parnell, G., Smith, C. and Moxley, F.) selected as contributing to one of the ten most important accomplishments in risk analysis over past 30 years; one of 146 papers noted. Found in: Greenberg, M., Haas, C., Cox A., Lowrie, K., McComas, K., and North, W. "Ten Most Important Accomplishments in Risk Analysis, 1980-2010." Risk Analysis, 2012; 32(5): 771-781. Finalist for 2012 Publication Award from Decision Analysis Society of INFORMS for "Intelligent Adversary Risk Analysis: A Bioterrorism Risk Management Model." 2010 Contribution to Best Issue-Linked Paper Set, in category of Terrorism Risk for "Intelligent Adversary Risk Analysis: A Bioterrorism Risk Management Model." 2010 Contribution to Best Issue-Linked Paper Set, in category of Terrorism Risk for "Response to Letter to the Editor." Selected as Department of Mathematical Sciences 2012 GEN Omar Nelson Bradley Fellowship grant recipient. Hollis Award for Excellence in Military Operations Research, United States Military Academy, May 1997. Smith, Christopher M., William T. Scherer, and Andrew Todd. "Stepping back from the trees to see the forest: a network approach to valuing intelligence." Social Network Analysis and Mining 6.1 (2016): 72. Smith, C., Scherer, W.T., and Carr, S. “Value of Intelligence Applied to Networks.” Environment Systems and Decisions 36.1 (2016): 85-91. Smith, C., Scherer, W.T., Todd, A., and Maxwell, D.T. “Quantitative Approaches to Representing the Value of Information within the Intelligence Cycle.” International Journal of Strategic Decision Sciences (IJSDS) 6.4 (2015): 1-21. Cited by 1 as of 18 Nov 2016. Parnell, G., Smith, C. and Moxley, F. “Intelligent Adversary Risk Analysis: A Bioterrorism Risk Management Model.” Risk Analysis 30.1 (2010): 32-48. Cited by 63 as of 18 Nov 2016. Moten, C., and Smith, C. “Organizing Your Data Closet: Using Latent Class Analysis with Survey Data.” Phalanx 49.1 (2016): 24-29. Smith, C. “A Collaborative Learning Experiment.” Mathematica Militaris Vol. 18, No.2 (2010): 10-16. Parnell, G., and Smith, C. “Response to Letter to the Editor.” Risk Analysis 30.6 (2010): 876. Moten, C. (2015). Understanding Optimal Decision Making in Wargaming III (DTIC Accession number ADA622273). Retrieved from http://www.dtic.mil/docs/citations/ADA622273. Haupt, A. et. al. (2015). Validating the FOCUS Model Through an Analysis of Identity Fragmentation in Nigerian Social Media (DTIC Accession number A627071). Retrieved from http://www.dtic.mil/dtic/tr/fulltext/u2/a627071.pdf. Smead, K. (2015). A Descriptive Guide to Conducting Trade Space Analysis (DTIC Accession number A626722). Retrieved from http://www.dtic.mil/dtic/tr/fulltext/u2/a626722.pdf. Smead, K. (2015). Trade Space Analysis: Rotation Analyst Research Project (DTIC Accession number A625386). Retrieved from http://www.dtic.mil/dtic/tr/fulltext/u2/a625386.pdf. Moten, C. (2015). Understanding Optimal Decision Making in Wargaming II (DTIC Accession number ADA614320). Retrieved from http://www.dtic.mil/docs/citations/ADA614320. Haupt, A. et. al. (2015). Conflict Prediction through Geo-Spatial Interpolation of Radicalization in Syrian Social Media (DTIC Accession number A627136). Retrieved from http://www.dtic.mil/dtic/tr/fulltext/u2/a627136.pdf. Teter, M. et. al. (2015). Optimal Facility Location Tool for Logistics Battle Command (LBC) (DTIC Accession number ADA624691). Retrieved from http://www.dtic.mil/get-tr-doc/pdf?AD=ADA624691. Moten, C. et. al. (2015). CombatXXI, JDAFS, and LBC Integration Requirements for EASE (DTIC Accession number a628401). Retrieved from http://www.dtic.mil/dtic/tr/fulltext/u2/a628401.pdf. Masotti, E. et. al. (2014). Leadership Development Wargame Assessment (DTIC Accession number ADA614346). Retrieved from http://www.dtic.mil/get-tr-doc/pdf?AD=ADA614346. Jackson, L. (2014). Humanitarian Assistance in Syria Analysis Technical Review (DTIC Accession number ADA616475). Retrieved from http://www.dtic.mil/get-tr-doc/pdf?AD=ADA616475. Teter, M. et. al. (2014). TRAC FY15 Research Planning and Execution (DTIC Accession number ADA616537). Retrieved from http://www.dtic.mil/get-tr-doc/pdf?AD=ADA616537. Deveans, T. et. al. (2014). Analysis of the capability portfolio review (CPR) (DTIC Accession number ADA604564). Retrieved from http://www.dtic.mil/get-tr-doc/pdf?AD=ADA604564. Haupt, A. et. al. (2014). Modeling and Simulation Behavior Validation Methodology and Extension to Model Validation for the Individual Soldier (DTIC Accession number ADA615028). Retrieved from http://www.dtic.mil/get-tr-doc/pdf?AD=ADA615028. Masotti, E. et. al. (2014). Concentration of Risk Model (CORM) Verification and Analysis (DTIC Accession number ADA614092). Retrieved from http://www.dtic.mil/docs/citations/ADA614092. Teter, M. (2014). Applying Subject Matter Expert (SME) Elicitation Techniques to TRAC Studies (DTIC Accession number ADA616463). Retrieved from http://www.dtic.mil/docs/citations/ADA616463. Teter, M. et. al. (2014). Implementation of Monte Carlo Tree Search (MCTS) Algorithm in COMBATXXI using JDAFS (DTIC Accession number ADA609071). Retrieved from http://www.dtic.mil/docs/citations/ADA609071. Deveans, T. et. al. (2013). Study to Assess Risk and Resiliency in Soldiers (STARRS) Validation (DTIC Accession number A591311). Retrieved from http://www.dtic.mil/dtic/tr/fulltext/u2/a591311.pdf. Nesbit, P. et. al. (2013). Understanding Optimal Decision Making in Wargaming (DTIC Accession number A587848). Retrieved from http://www.dtic.mil/dtic/tr/fulltext/u2/a587848.pdf.